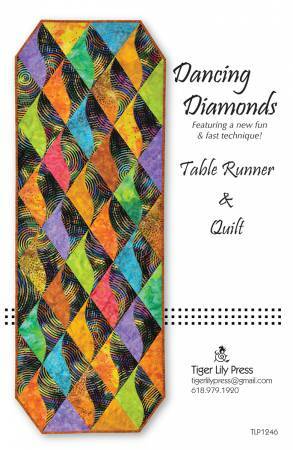 Table Runner: 20in x 55in Quilt: 52in x 55in. Super easy technique that requires ZERO curved stitching. Fully illustrated with step-by-step illustrations. To make it even easier, the templates feature MATCHING DOTS, so stitching the diamonds together PERFECTLY is fool-proof. Makes a great in-shop demo and workshop project.